Bored by the typical Shuffleboard Table stains, lengths, colors and options? 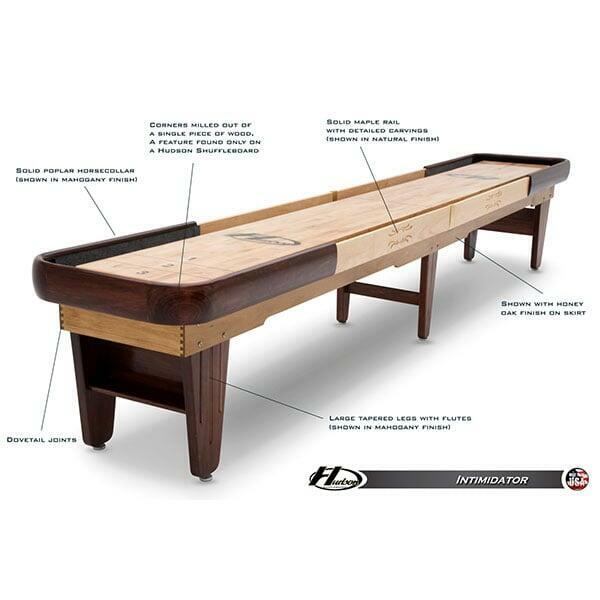 The Intimidator Shuffleboard Table by Hudson Shuffleboard grants everyone the ability to completely customize their shuffleboard table experience! Solid wood serves as the base for this model; each leg and cradle is built from Poplar and then finished in your choice of Espresso, Honey Oak, Rich Walnut, Fruitwood, Mahogany, Cherry or Natural stains. 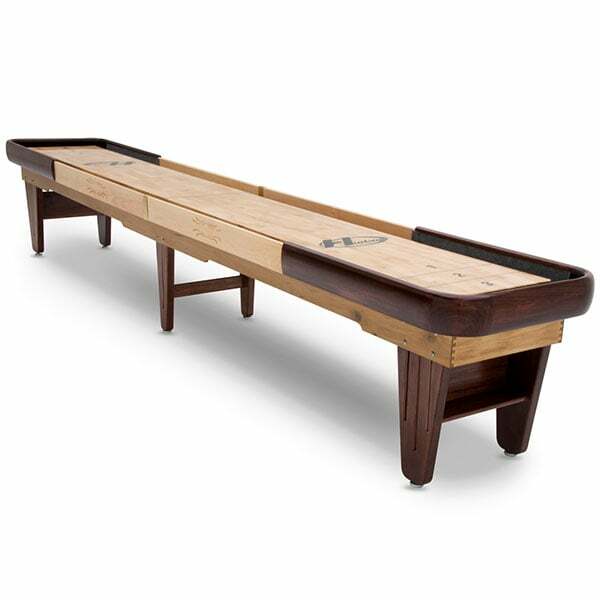 Add a shuffleboard table to match the existing wooden bar or pool table in the basement or game room! Customize the size to fit that empty space! Choose amongst 9', 12', 14', 16', 18', 20' and 22' models! These are beautiful pieces of art, with individual character and detailed artistry. Each corner offers milled solid wood, a special addition rarely found in these tables. Kiln-dried white maple covered with a strong and durable polymer finish ensures the gameplay quality is at a professional level. 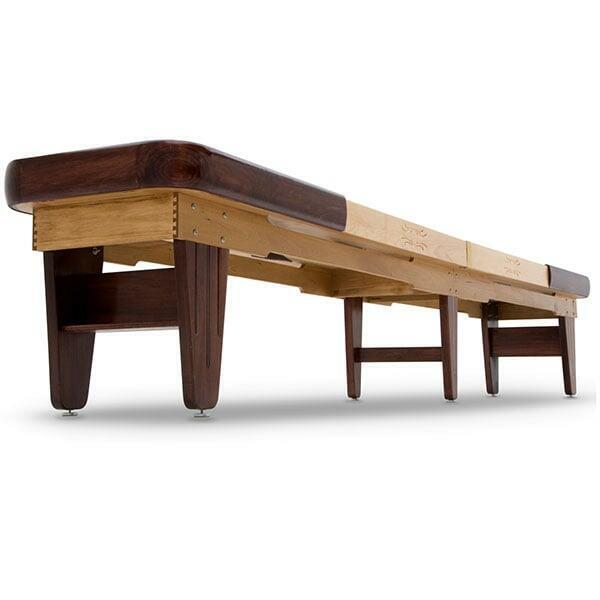 This is why the pros, including 27-Time World Shuffleboard Table Champ Billy Mays, recommend Hudson Shuffleboard Tables!